The return on the low frequencies is defined and precise, the mids are rather cut off compared with the other models, and the highs are present and articulate. 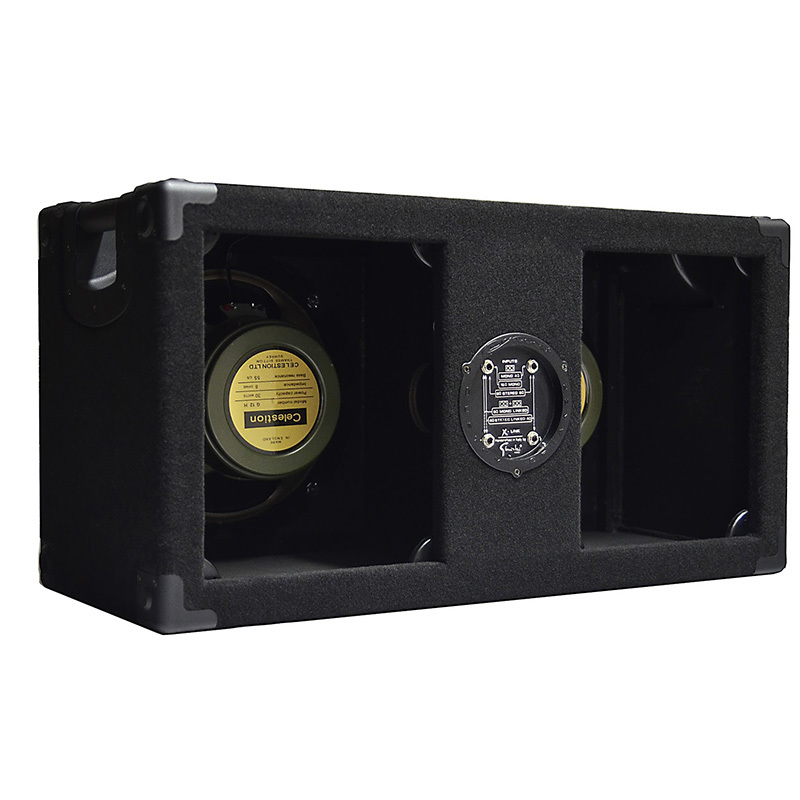 The Celestion Century Vintage is a perfect mix between modern and classic. The neodymium magnet confers dynamics and fast attack, presence and an exceptional lightness (the cabintes weighs just 30 pounds). Guitar players who prefer using the 7 strings or the detuned ones in general will undoubtedly appreciate the features of this cabinet, with low frequencies so defined and powerful. 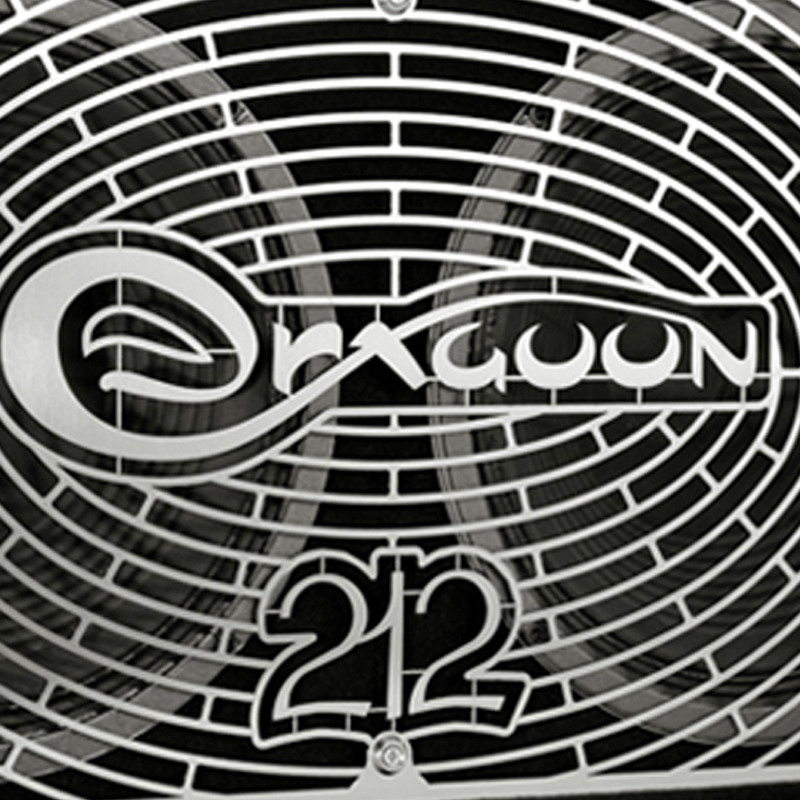 A protective metal grid safeguards your product. 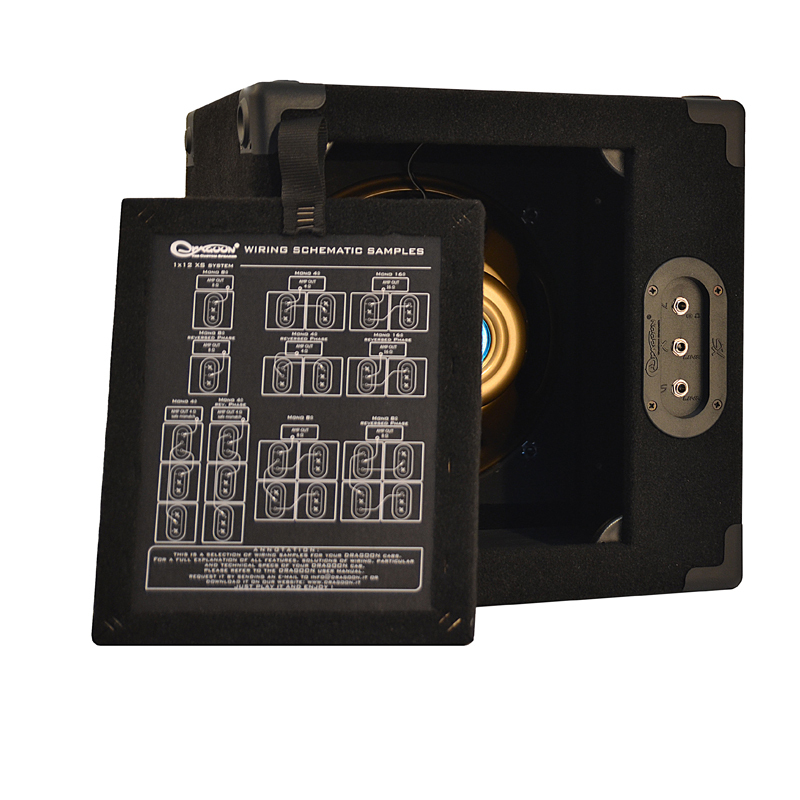 The removable back panels with easy connection instructions, so as not to get the impedance wrong, even in the most complicated systems! The Fast Open Back system, to convert in a while from closed back to half closed Back until full open back!! 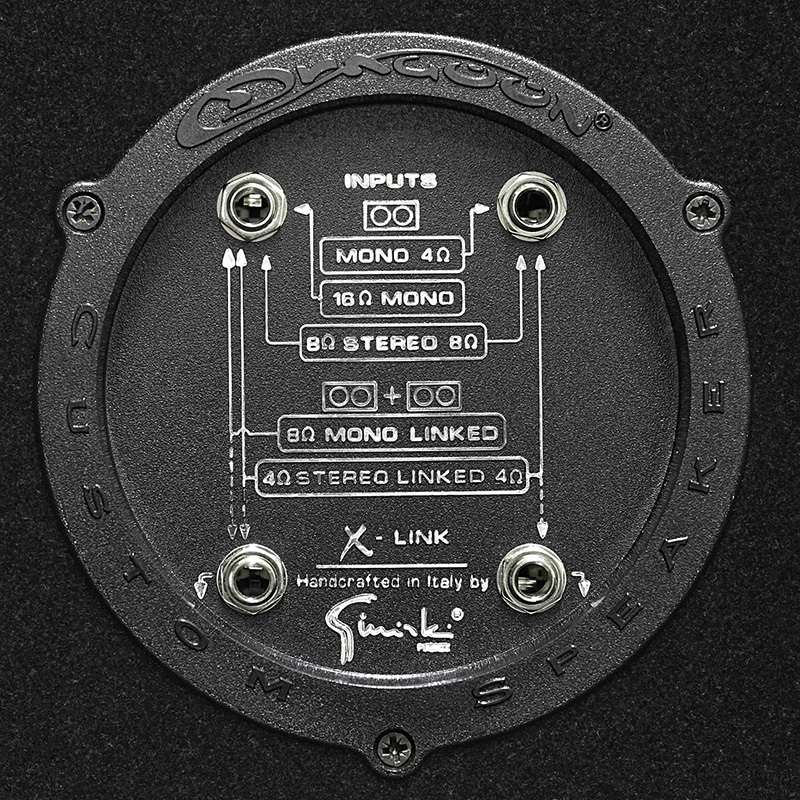 X-LINK: A complete electronic plate, able to give many possibilities in connection for the greatest system flexibility. Mono, stereo and phase management, at your fingertips, manageable just inserting the jack!